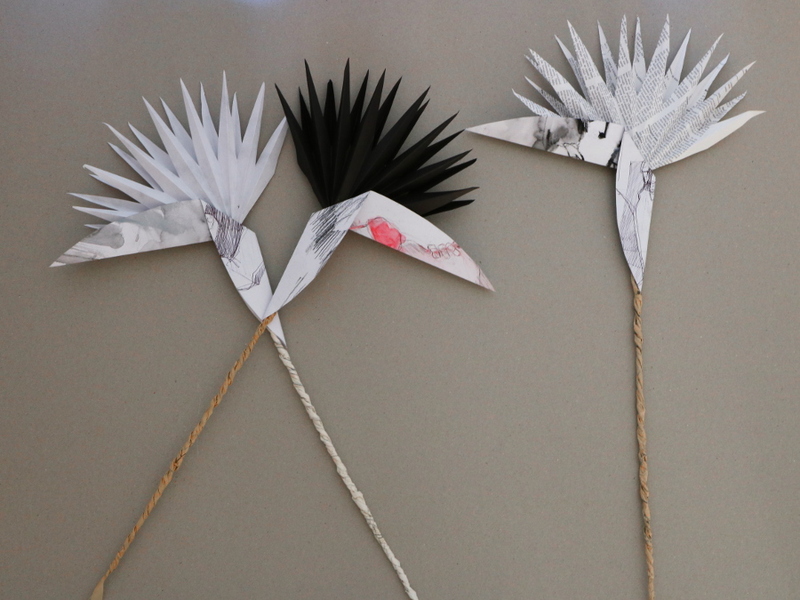 Paper Strelitzia project made up to order for local artist. It’s been a delight to work collaboratively with my friend and local Durban Artist – Lesley Magwood Fraser. 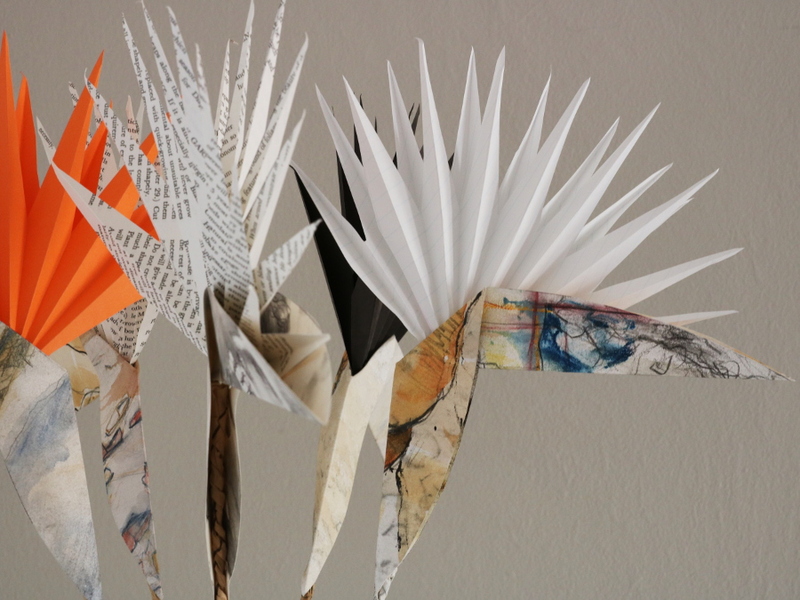 Lesley delivered a pile of paintings and drawings to me, and I have cut them up into Paper Strelitzia Blooms, adding some recycled book paper elements. It’s not the first time we’ve worked together. 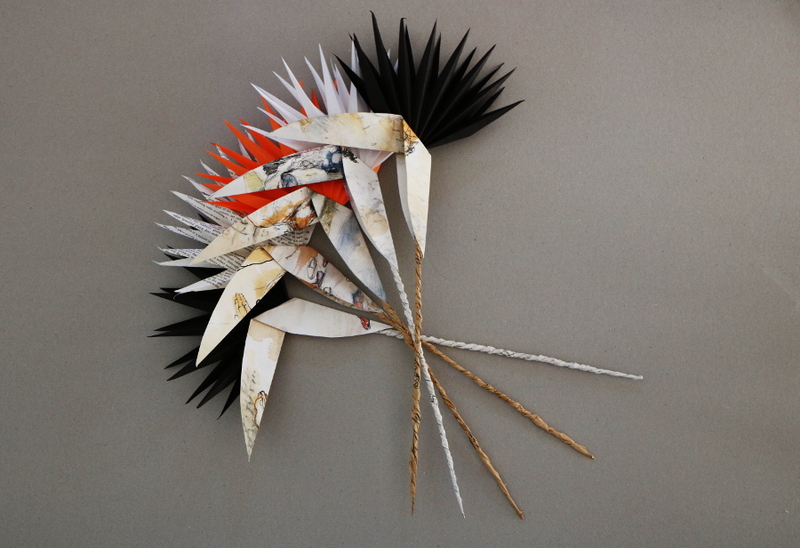 The paper proteas for her recent art exhibition were a sell-out! The petals are created from pleated paper and the stems are covered in re-cycled twisted tissue paper. 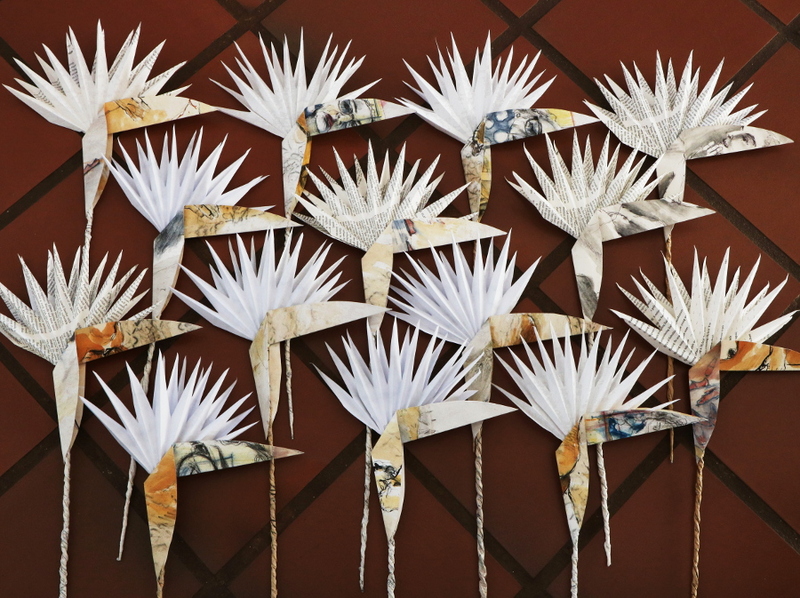 We love to create representations of indigenous flowers and other paper products for private and business clients. If we can re-use paper that is somehow relevant to you – all the more exciting! Contact us if you would like us to create something similar for you! I am fortunate enough to have a miniature version of the real thing growing here in my garden in Kloof. Unfortunately, I don’t often get to see these strelitizas though – The monkeys, who frequently visit our garden find them delicious and love to eat them for lunch.